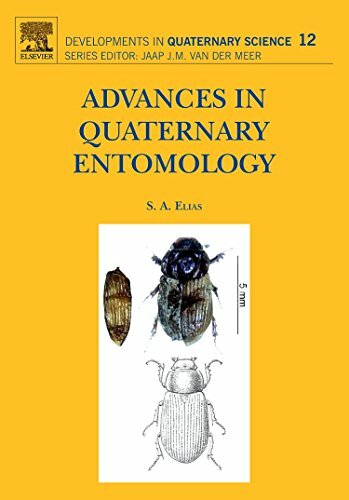 Advances In Quaternary Entomology, Volume 12 (Developments In Quaternary Science): 9780444534248 Hardcover - LIMEROCK BOOKS INC.
Advances in Quaternary Entomology addresses the science of fossil insects by demonstrating their immense contribution to our knowledge of the paleoenvironmental and climatological record of the past 2.6 million years. In this comprehensive survey of the field, Scott A. Elias recounts development of scholarship, reviews the fossil insect record from Quaternary deposits throughout the world, and points to rewarding areas for future research. The study of Quaternary entomology is becoming an important tool in understanding past environmental changes. Most insects are quite specific as to habitat requirements, and those in non-island environments have undergone almost no evolutionary change in the Quaternary period. We therefore can use their modern ecological requirements as a basis for interpreting what past environments must have been like.